This Sunday’s Gospel reading tells us about Jesus’ first miracle of turning water into wine in Cana of Galilee. When we pray the Second Luminous Mystery of the Rosary, we also reflect on this miracle that happened at a wedding feast that Jesus and his mother attended. This miracle relates us to our heavenly mother Mary’s sensitivity not only to our spiritual wellbeing but also to our earthly needs. She intercedes for us before our asking. This first miracle of Jesus also tells us that while his ministry on earth was to preach the kingdom of God, when he lived amongst the people of his times, he took it upon himself to care for them and to love them. He was mindful of their earthly wellbeing. He turned the water into wine, saving the bridegroom from the embarrassment of running out of wine in his wedding banquet. When I read this familiar story once again, I was struck by what Mary said to the servants, “Do whatever he tells you” (John 2:5). It was as if she is telling us too, “Do whatever he tells you.” The servants did exactly as they were told by Jesus. 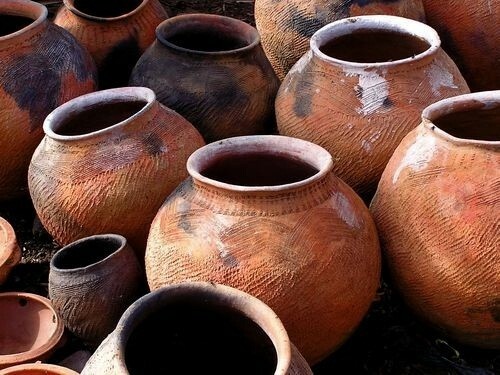 They did not question his instructions of filling the jars with water and the servant’s complete obedience facilitated the making of a miracle that revealed Jesus’ glory and “his disciples believed in him” (John 2:11). The miracle teaches us to have complete faith in God at all times and in everything, do whatever He tells us to. If God so desires, we who are “given the manifestation of the Holy Spirit” (1 Corinthians 12:7) may become small bolts and screws that fit into His divine plan. In this Second Sunday in Ordinary Time, which is also the World Day of Migrants and Refugees, let us be mindful to do what Jesus tells us to do to one another. Especially for those of us who were once new immigrants to this country, we know how it felt like to be an immigrant. We know how we like to be treated. So let us pray that when we encounter new immigrants or new refugees from Syria or other places, we will be sensitive to their needs, will offer them a warm welcome, an open heart and most of all, a helping hand before they ask! The wedding feast at Cana is a symbol of this relationship of God with his people. Lack of wine represents the sad condition of the people of Israel disappointed and dissatisfied, which replaced the momentum of love for the Lord with the fulfillment of legal provisions. This way of relating with God never gave joy, yet it is an always present temptation. People rely willingly on religious practice, the strict observance of duties, the repetition of rituals of which they do not even know the meaning. Why is she (Israel) (the noun Israel is feminine and is considered as the bride of Yahweh) in this condition? The religion taught by the rabbis is that of “merits.” They taught that, whoever acquires merits and is faithful to the law is loved by God. To help people to observe the law, they detailed and multiplied so many little rules, impossible to observe. Since transgressions are inevitable, and one always feels unclean and guilty, the purification rites were devised. Here is the symbolic significance of the six empty stone jars: they represent the religion of purification, that set of practices and rituals unable to communicate serenity, joy, and peace. Not from this water, but from what Jesus orders to draw—his water—that will result in the best wine. Jesus’ mother can be Mary, yes, but she can also indicate the spiritual community in which Jesus was born, and from which he was educated. In today’s passage, she certainly represents the pious people of Israel, those who first realize that the religious situation they live in is unsustainable. What must they do then? Turn to Jesus. They understand that the living water comes only from him. Whoever drinks it, is transformed into wine, made happy. John places this “sign” at the beginning of his Gospel because it is a synthesis of all that Jesus will do later. He is the one who will celebrate the wedding feast with the community. The feast has begun but will culminate when “his hour will come,” (Mt 24:36) when, on Calvary, he will manifest all his love by giving his life for the bride when from his pierced side will flow “blood and water” (Jn 19:34). In Cana, he makes only a sign of what we will do. In the hour when he will “pass from this world to the Father” (Jn 13:1) he will actually give the water “welling up to eternal life” (Jn 4:14). Next PostBITE-SIZE THEOLOGY (16) – Does the Bible tell us everything we need to know?